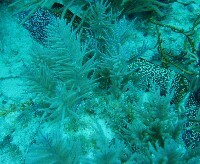 This is a site at the northern edges of Pennekamp Preserve. Photos by Rod 31 Mar 04 in about 30-40 feet water. 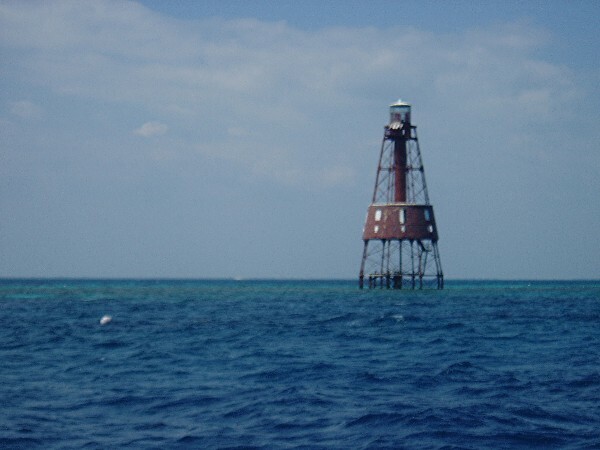 Location was Carysfort Lighthouse; Key Largo. Carysfort Reef is 6 miles SE of Ocean Reef Harbor and denoted by a 110 foot lighthouse. 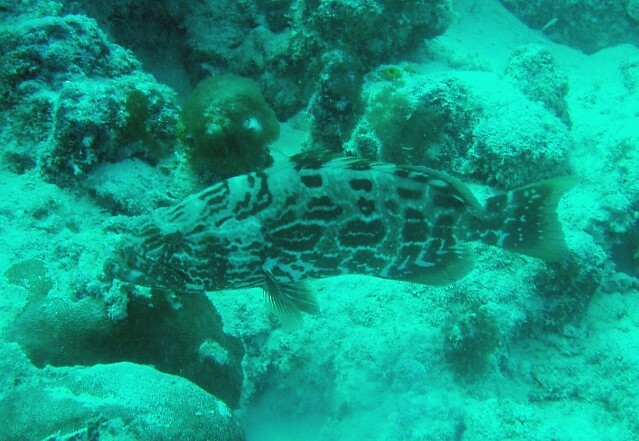 The reef can be enjoyed by both snorkelers and divers. 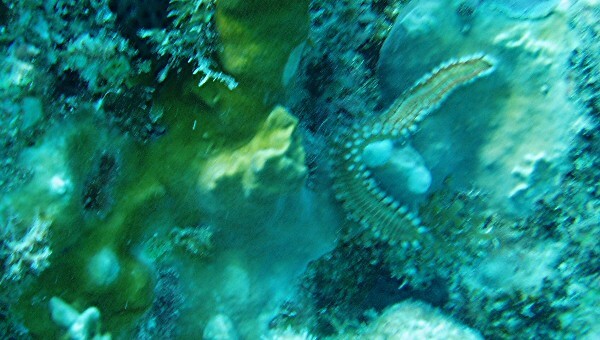 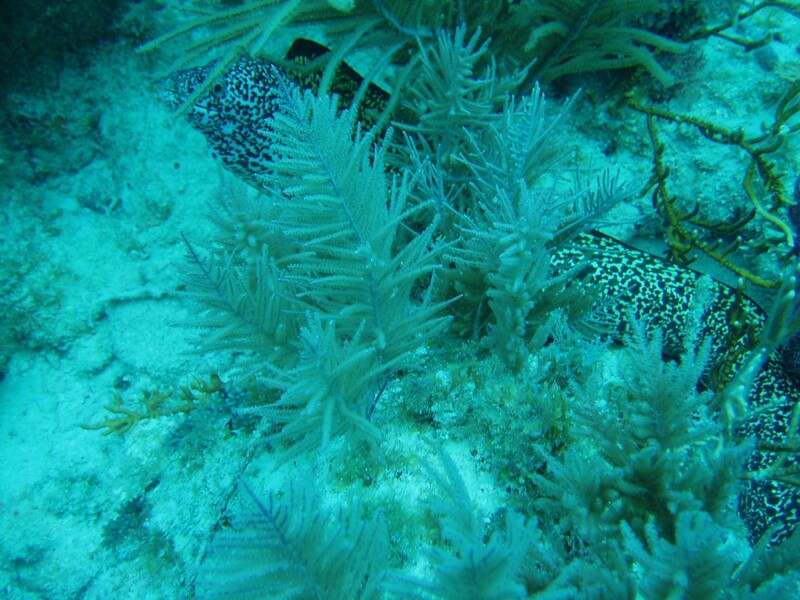 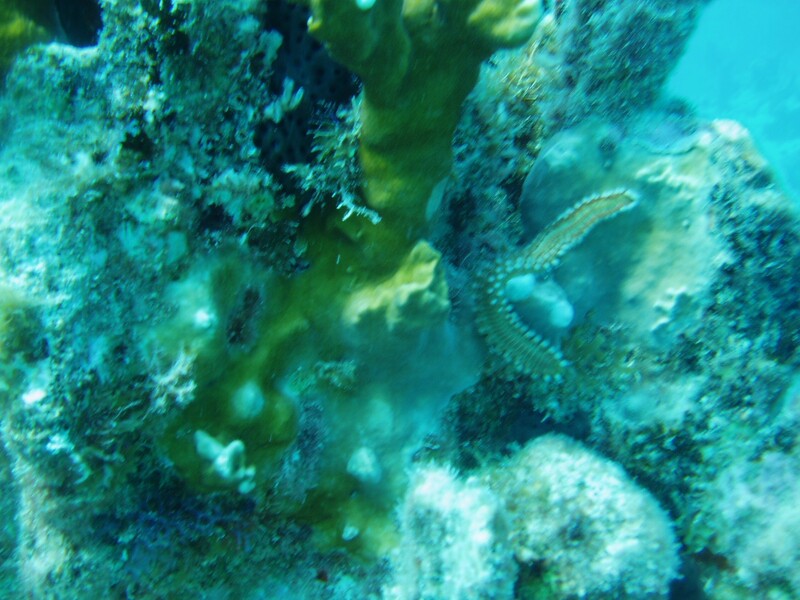 A spur and groove coral system is populated by elkhorn, staghorn and brain coral species. 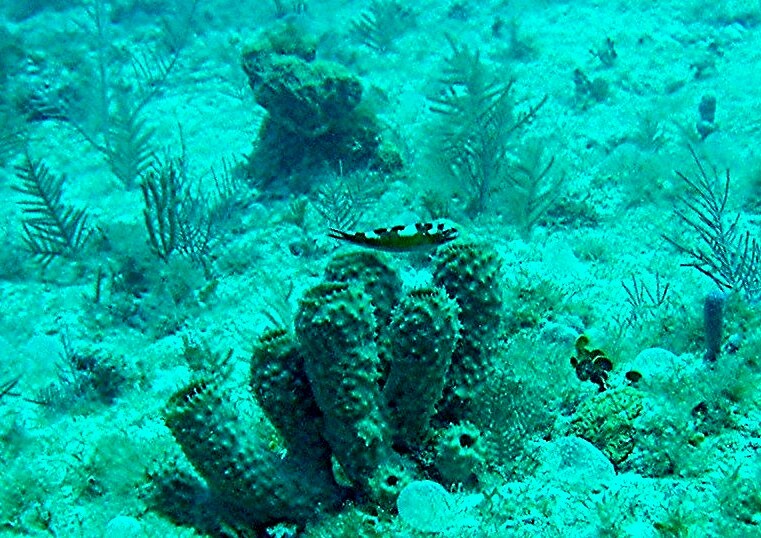 This reef is less frequented by divers and snorkelers compared to many of the other reefs because of its distance from most of the dive shops. 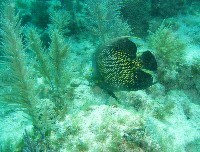 The seaward side of this reef includes an area named Carysfort Wall and drops to a depth of 65 feet. 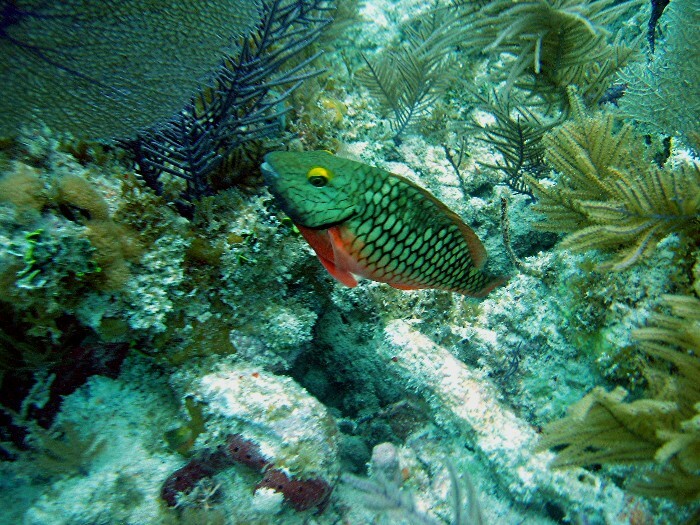 Common fish at this site include yellowtail snapper, parrotfish, sergeant majors, blue runners, school master snapper and schools of blue tangs. 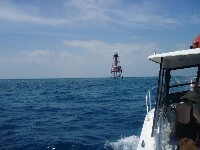 More than 10 mooring buoys are available at this Santuary Preservation Area site.